Trainer Kris Lees will give Frankely Awesome her chance in the ATC Australian Derby at Randwick. 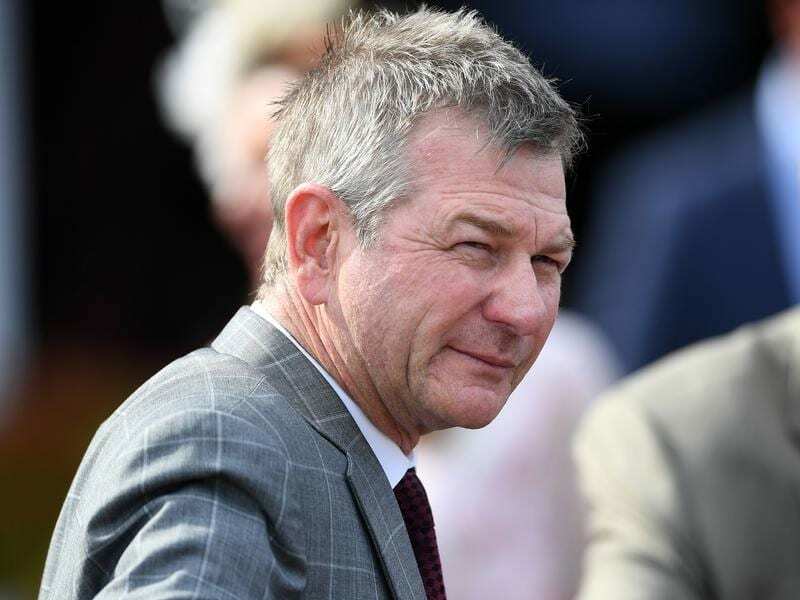 Winning an ATC Australian Derby with a filly is no easy feat – only five have managed it in the past 75 years – but trainer Kris Lees is prepared to roll the dice with Frankely Awesome. Just 24 hours after getting off the plane from Dubai where he watched Brave Smash finish midfield in the Al Quoz Sprint, Lees was faced with a tough decision. Should he back-up Frankely Awesome in Saturday’s blue ribband at Randwick or take the more traditional route to the ATC Australian Oaks? In the end, several reasons swayed Lees on a Derby start, not least of all the fact his filly wouldn’t have to take on her Vinery Stud Stakes conqueror Verry Elleegant. “We had her nominated, so it was always an option we were considering but we decided Tuesday morning,” Lees said. ‘Lees watched last Saturday’s Vinery from Dubai and was rapt with the performance of Frankely Awesome, who settled back in the field and made good ground to finish second and less than two lengths from the winner. It backed up her eye-catching run in the Kembla Grange Classic (1600m) when she also hit the line resolutely to finish runner-up to Godolphin’s Pohutukawa. Lees said Frankely Awesome had always shown talent but had come into her own since extending to a middle distance. “She’s a staying filly and it has been a matter of getting her out to her right trip,” he said. Frankely Awesome, a daughter of champion Frankel, is a $6 favourite to become the first filly since Shamrocker (2011) to win the Derby, and to give her sire his first Group One winner in Australia. Frankel’s best result so far has been a Group Two Tea Rose Stakes win courtesy of Frankely Awesome’s stablemate Miss Fabulass.